In the digital age, you may be making the two biggest job search mistakes without even realizing it. These mistakes can actually prevent you from getting that lucrative job offer. Let’s face it. Job searching is tedious and downright stressful. It is a job in of itself. Waiting for a response from employers can take weeks. Not knowing how many others are interviewing for the same position can drive you to the brink of insanity. Watching paint dry on a wall can be more exciting and enthralling than the standard job search. Many job seekers overlook the importance of the cover letter: a way to stand out and display not only your interest in the position and company but a way to personalize who you are. A cover letter matters especially when there are 250+ plus job seekers applying for the same position. A well-written cover letter will not only draw the attention of the reader, but it will also allow you to market your unique skills and sell yourself in the right light. A cover letter can be short and sweet with only just a few paragraphs. In today’s market, only 30% of cover letters are read. As a result, cover letters function more like an e-note and can be utilized in a much more terse, synthesized way. Include the cover letter in the body of the email so that it is the first thing the reader sees when opening up the email that has your resume attached. Multiple people are interviewing for the same position you are. All job seekers appear enthusiastic at the job interview. What will set you apart from the rest is your ability to show that enthusiasm following the interview. How do you do this? Send a simple thank-you letter within 48 hours after your interview. In today’s times, it is completely acceptable to send a thank-you letter via email. By the time your thank-you letter arrives via snail mall, the job offer could have been made. The early bird always gets the worm, so act fast. Be succinct yet thorough. Tell the interviewer what you liked about him/her and the potential position with the company. Reaffirm your enthusiasm. Always take the business card of your interviewer so you have his/her information handy when sending out the thank-you letter. Want more tips and advice on job searching, resume writing and interviewing? 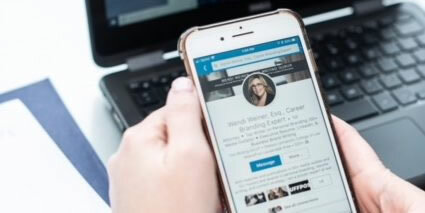 Follow Wendi Weiner, The Writing Guru on LinkedIn. This entry was posted in Career Advice, Resume Writing and Tips. Bookmark the permalink.